The music made by the Australian group Dead Can Dance during their seventeen year existence resembled soundtracks to imaginary movies. The core duo of Brendan Perry and Lisa Gerrard, who were also an item at the time, moved to the U.K. a year after the group's founding in 1981. They issued their first album on 4AD in 1984. From the beginning the group trafficked in ambient soundscapes and ethno-techno drumming leavened with the ubiquitous synthesizers then driving the era's pop music scene. The debut (4AD CAD 404) sounds something like The Thompson Twins meets Joy Division, meets Hieronymous Bosch meets My Bloody Valentine meets "world music" probably before the term was coined—but with far more depth of soulful expression. Both Perry and Gerrard's vocal chops expanded exponentially over time compared to how they sounded on the debut. Gerrard sounds a bit like Edith Piaf there. Not on this record! Over the years the group's musical palette expanded while the ethnic sounds in which they traded gained greater currency in pop music. At the same time, purist practitioners began incorporating more pop. By the time this complex gem, featuring just the duo of Perry and Gerrard, was first issued in 1993, a large audience was waiting to accept and embrace it and it hit the Billboard Top 200 Chart and went on to sell an amazing half-a million or so copies—and for good reason! 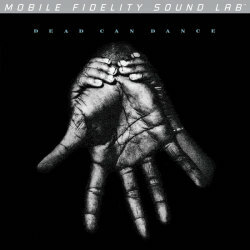 The music is a complex melange of straight forward goth-rock, with plenty of shimmering, chimey guitars, mixed with a jumble of ethnic musical accents ranging from American Indian to Indian Indian to Arabic plus sound effects, heavy and varied percussion occasionally anchored with shuddering bass. The vibe is heavy. The religious overtones are earthy and dank. Death and mystery hover in the air. There's a dense adaptation of Bertold Brecht's "How Fortunate the Man With None" from "Mother Courage," and one set to Robert Dwyer Joyce's Irish rebellion poem "The Wind That Shakes the Barley," plus originals that cover a wide variety of mysteries and betrayals. There's chanting. Mr. Perry is not only a talented singer, musician, arranger and composer. He's also a brilliant engineer and producer. This double LP set was recorded in Quivvy Church, Ireland and Perry captures both the instrumental timbres and textures and the spaciousness of the venue with alarming immediacy and dynamic involvement. If you don't jump out of your seat on occasion as this plays—I don't care how many times you've heard it—something is wrong with your stereo. I've been playing it for seventeen plus years on the original double UK pressed LP set but truthfully haven't listened for awhile as my system has dramatically improved and I had a few adrenaline surges a few times listening to this superb Mobile-Fidelity reissue. The spaciousness is astonishing, the clarity and precision of the percussive attack intense, the bass, deep, taut and well-textured and the presentation of Perry's and Gerrard's vocals full bodied and three-dimensional. This is as good as recorded music can sound in my opinion and Mobile Fidelity's reissue on RTI standard weight audiophile quality vinyl presents it against the blackest backdrop. I've played my original to death (pun intended) and it still sounds great and quiet, but this reissue presents an even blacker backdrop. It might be better than the original, but given how many plays mine has had, I'm not sure. It's at least as good, that's for sure. 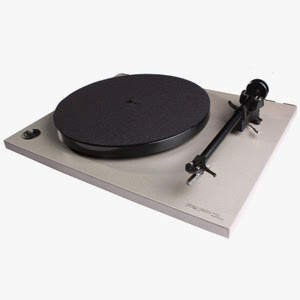 An auspicious start for Mobile Fidelity's new lower cost silver series of LPs. Even if you've never heard this group or this record, if you're going to step out and try something new, this would be the place to do it. Highly, highly recommended for both music and sound. Turn the lights out and you'll be transported to another place. 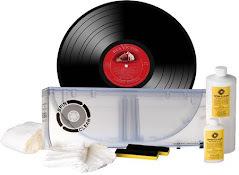 from our friends at vinylcollective.com this great info! 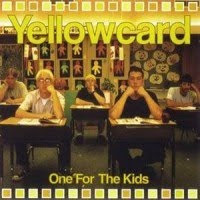 Shop Radio Cast will exclusively have Yellowcard's 'One For The Kids' on vinyl for the first time ever! The pre-order for this product will go live on March 22, 2011.
can't say I knew what a muse was when The Freewheelin' Bob Dylan came out in 1963. I was 13, so I did know about girlfriends -in theory, anyway -and it was plain that the woman pictured on Dylan's second album was his sweetheart. 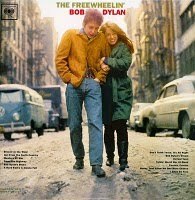 On the album cover, she and Dylan are walking arm-in-arm down the middle of a slushy street in Greenwich Village. She is smiling, her head pressed against Dylan's shoulder. Radiohead frontman Thom Yorke premiered two new singles, "Ego" and "Mirror," on March 15. The debuts came on U.K. radio between sessions by Four Tet and producer Floating Points. The two songs are Yorke's first new releases since Radiohead made their new album 'The King Of Limbs' available to download last month. The tracks are available on vinyl only. The new songs are set to be released on 12-inch vinyl through Four Tet's record label, Text Records. The 12" double A-side single will contain only "Ego" and "Mirror." The Record Collector (Roselle Chen)Rows of records with album covers yellowed with age are neatly stacked on pine hand-carved shelving. Yards of 33rpm long-playing records line the 3,400-square-foot store from floor to ceiling. Inky black vinyl devoid of scratches, dust and orange price stickers (that forever leave their sticky residue) stretch from the front of the store well into back corners, hidden from customers. In rooms layered upon rooms, there are old Victorian gramophones, reel to reels, 45’s, 78’s, cylinders and speakers from the 1950s. Sanders (Sandy) Chase gives tours of his store to people who pass a sort of veneration test. If they love music the way that he does, they get to see what’s more than just a rare and vintage vinyl store holding half a million records. Not only does Chase run a unique store, but he also believes in playing the records on analog equipment only. “The Record Collector,” the words displayed in white letters on a green awning, sits on the corner of Melrose Ave. near Fairfax. The store was established in 1974 with Sandy’s personal collection of 10,000 LP’s of mostly classical music. He used his earnings from his success as a violinist to open what is now LA’s oldest record store. like the cover art, excited to hear the music! "Attention all bangers! The cover artwork for our forthcoming album Feeding the Inevitable can be viewed below. Artwork was done by Remy C. from Headsplit Design. "As stated earlier the follow-up to 2009's Poisoned Legacy will be released through US label Deepsend Records in the spring. Right now we are waiting for a release date for this fucker! More news will follow soon! Get ready to be crushed!" "Our Song" was released by Tom and Jerry in 1958. Later they used their real names, which were Paul Simon and Art Garfunkel. Bob Dylan released his self-titled debut album in 1962. In 1974, Jefferson Airplane changed their name to Jefferson Starship. The new line-up includes Paul Kantner, Grace Slick, drummer Johnny Barbata, David Freiberg, Peter Kaukonen, Cragi Chaquico and Papa John Creach. The third album from KISS, 'Dressed to Kill,' was released in 1975. In 1976, former Free guitarist, 26 year old Paul Kossoff died of heart failure while on a flight across the US. He had been troubled with heart disease most of his life. Free is most often remembered for their hit, "All Right Now". Lead singer Paul Rodgers went on to form Bad Company with Free drummer Simon Kirke, Boz Burrell (from King Crimson) and Mick Ralphs (of Mott the Hoople). In 1982 - Randy Rhoads died at the age of 25 in a plane crash. The plane was buzzing Ozzy Osbourne's tour bus when it crashed. The pilot and another female passenger were also killed. Birthday wishes to Zach Lind of Jimmy Eat World (1976) and Paul Atkinson from The Zombies (1946), among others.